Serving your child from infant to toddler the Cosco Scenera seat is an economical solution for you. It is equipped with the LATCH system if you car is equipped to use this feature. 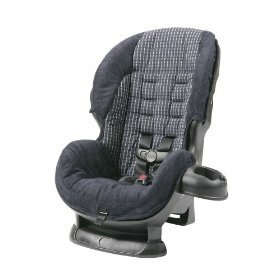 The car seat also has a one piece molded shell and a machine washable padded fabric cover. This car seat is for rear-facing children from 5lbs to 35lbs and forward facing toddlers from 22pounds to 40 pounds. Customers who buy this Cosco Scenera carseat also buy the Car Seat Protector .